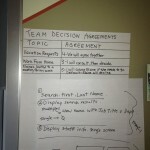 This team had been cast aside during a re-org. The new manager came in and ran an authority board session with the team and they displayed their results on the wall where the team sat. 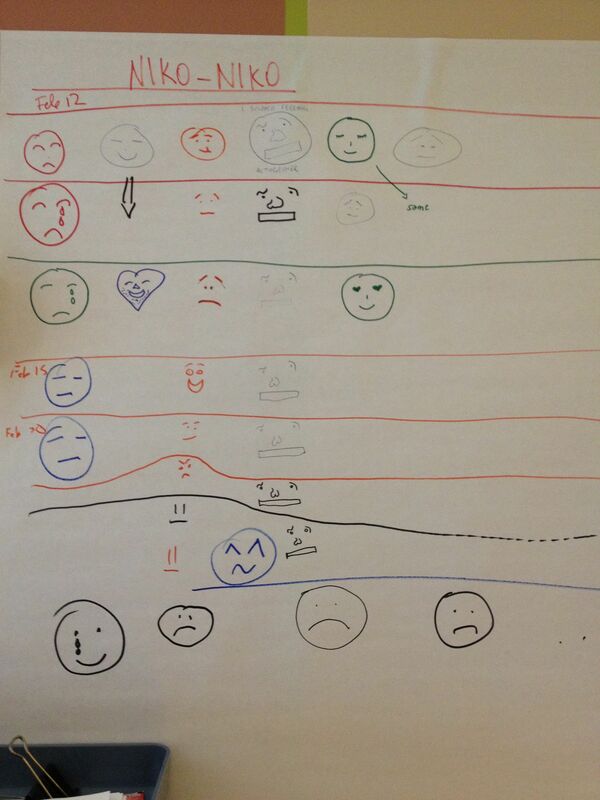 Simply by making expectations and boundaries visible, the team felt more secure and confident that their manager was an avocate for them. 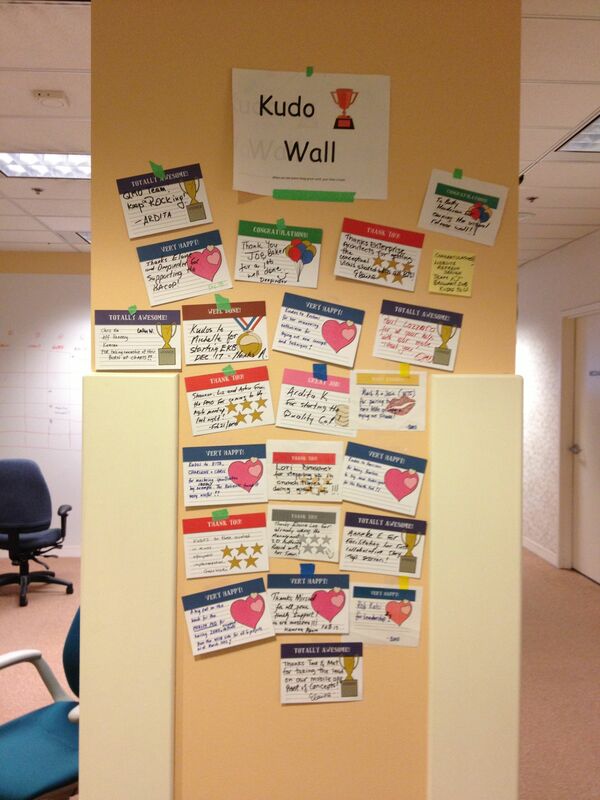 This Kudo Wall was put up in a high-traffic area where this organization’s enterprise Kanban board was located. We like to take credit for the ensuing “employee awards” show that HR initiated a few months after this Kudo Wall went up. 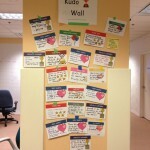 We taped an envelope with supplies to the wall in order to lower the barrier for people to write and post Kudo cards. 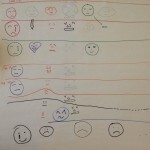 This team had been tracking their happiness index on a big-visible chart in the area where the team sat. You’ll notice tears on one of the faces! This team talked often about what was making them sad and mad and it turned out that it was the manager that was the root cause of the problem. 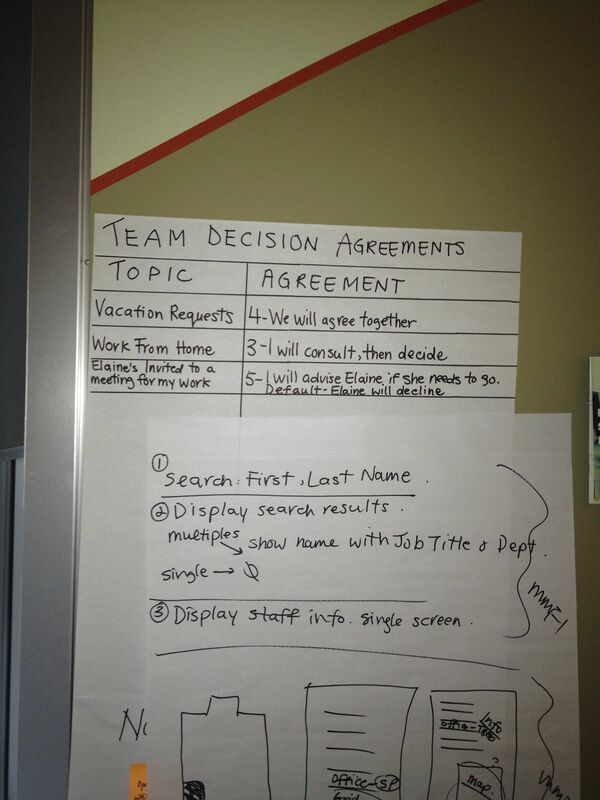 The team ended up invoking HR to help solve the problem. I wish I could say it ended well but the half the team resigned within a 2 week period. At the start of a medium-sized transformation, we used this technique to find out who our early adopters would be with respect to spreading and socializing practices. 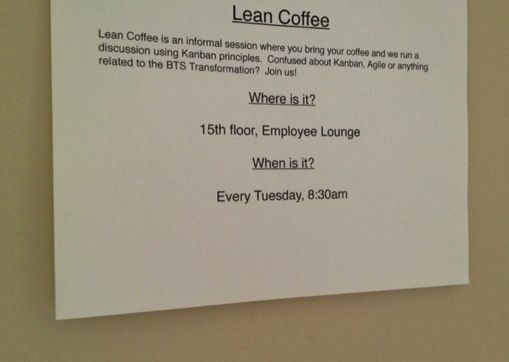 We posted this sign on the walls near elevators, major foot-traffic areas and in co-located working areas and we waited to see who showed up. Over time only business analysts kept showing up and as a result a grass-roots BA Community of Practice was created. 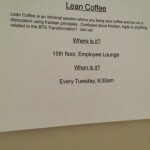 Using this technique also connected our coaching technique to the PMO where we later helped them implementation Lean and Agile practices outside of IT.